Heat up some oil in a wok and stir fry garlic until aromatic. Stir in minced pork until almost cooked. 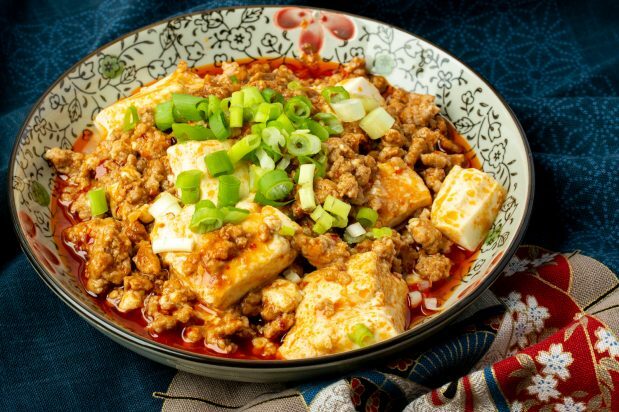 Open up the mapo tofu sauce and stir in together with the minced pork until cooked. Add soft tofu and gently cook over low heat until sauce thickens. Garnish some spring onions on top and serve with hot rice.